Volunteers are valuable and treasured members of The Family Center. We offer several ways for volunteers to partner with our organization to help restore clients’ stability, health and hope. Please take a moment to read about our volunteer opportunities and fill out our Volunteer Form to let us know your interests. 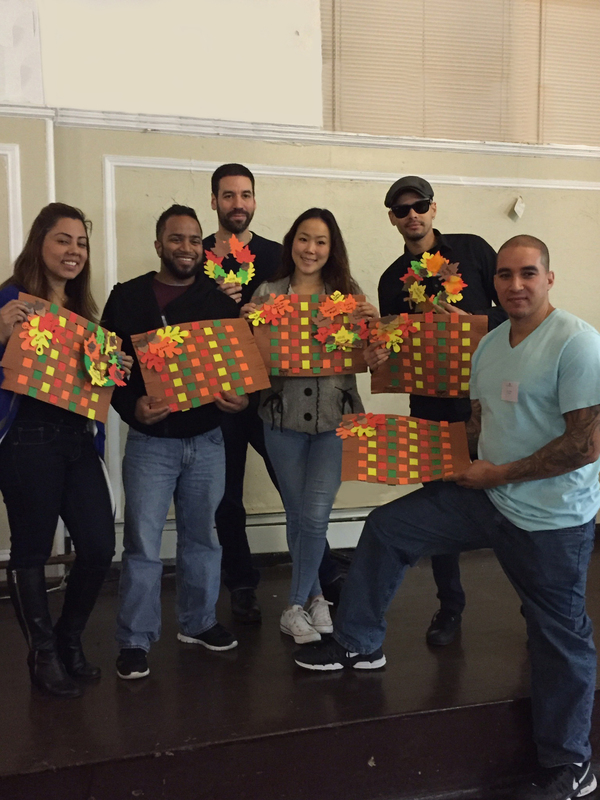 Volunteers show off the place mats they made with our children during the Thanksgiving dinner. To support our volunteer programs, you can also make a tax-deductible donation online.